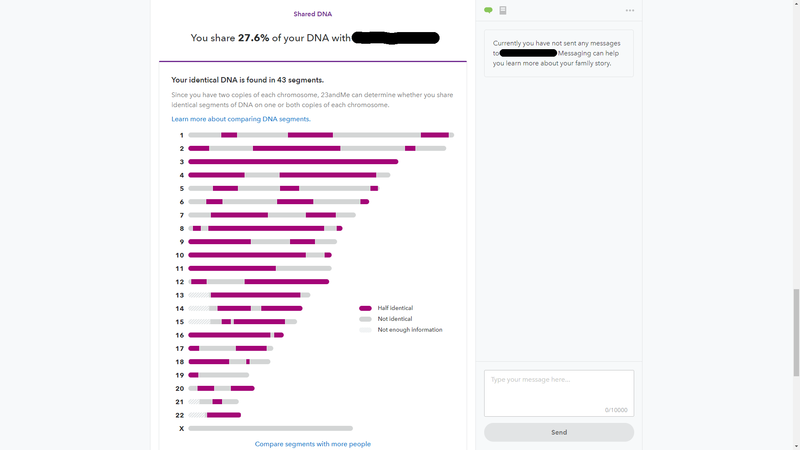 DNA tests like 23AndMe are all the rage right now. People are excited to find out exactly what nationalities comprise them, sometimes learning that their ancestors weren’t who they thought they were. 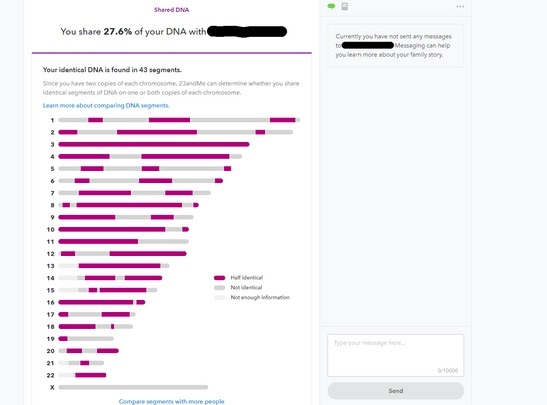 One cool thing about the tests is that they shed light on a person’s family history and sometimes even help people find relatives they didn’t know they had. Only, in this case, that didn’t turn out to be such a good thing at all. A Redditor whose user name, AccidentalxIncest, (uh-oh) sort of spells out the problem, posted in the TIFU subreddit about how his girlfriend bought them both 23AndMe kits for Christmas. Okay, so both of them are looking to find their birth fathers. Sarah tightly holds my hand and says “I hope we both find our fathers”. Then I open mine up…. He added a “Too Long; Didn’t Read” summary of the situation at the end of the post. He also added three edits. The first said that he was getting support from friends and the second thanked Reddit for giving him support. The third edit included proof of the DNA results, for anybody who thought he was making this up. Redditors did offer lots of perspective advice, which might have been at least a little helpful. In this instance they’re only half related, and likely had completely different upbringings in completely separate families. Genetically it’s still not a great idea, but morally and ethically I don’t think there’s anything here to worry about. Well, this is quite a sticky situation. Hopefully the Reddit poster and his girlfriend/half-sister figure stuff out in a way that doesn’t leave anybody any more traumatized.